SG-23/30/36 series sound - proof central granulators are suitable for centralized recycling of wastes or rejected parts from injection moulding, blow moulding or extrusion lines. The machines feature optimized structure, easy operation, and quick blade replacement. Staggered rotating blades can easily grab and cut through materials. This design makes the machine work more efficiently and can reduce waste of energy to the minimum.This granulator has various models with wide application range to meet different customer’s demand. SG-23 series adopts staggered blades design, SG-30 and SG-36 series adopt paddle blades design. Staggered blades design can decentralize working load when granulating to increase cutting efficiency, Blade retainer is designed for quick blade replacement without readjustment. Paddle blades design allows increased efficiency and reduced energy consumption. The blade material is imported steel to ensure high quality and high durability. Full-closed design and sound-proofing ensure low noise level. Equipped with electrical current relay, motor overload protector and other multiple safety devices. Cyclone dust separator can effectively remove the air from regrind and facilitates the material collecting. Dust collecting bag brings easiness for dust cleaning and reduce contamination. 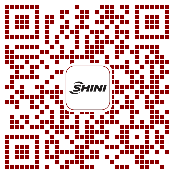 Regrind conveying system as standard. Anti-vibration pads absorb vibration from SG-36 series. For granulating fibre-added material, there's fibre-added granulator model for choosing. Surface-hardening treatment is adopted on the material contacting components. SG-30P and SG-36 fibre-added model blade material used V-4E joint with S50C. 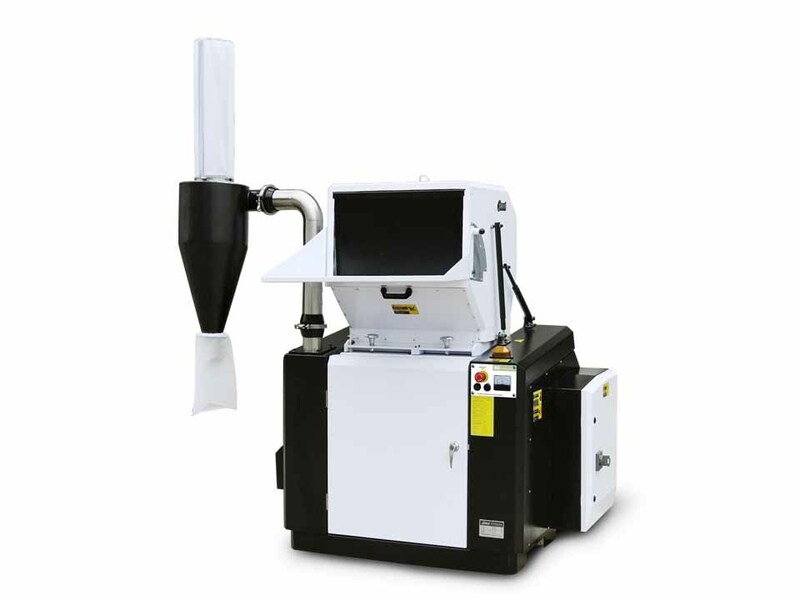 Dust separator, full-receiver alarm device and special screens.